This November, Pope Francis has called for the First World Day of the Poor, on Sunday 19 November, and we will celebrate the feast of Christ our King, Sunday 26 November. Note though, Frances has not called for a day of ‘prayer for the poor’; in fact he hasn’t asked us to limit our response to prayer; Francis has called for a ‘Day of the Poor’. The Lord we follow was poor, is poor. He, and we by becoming one in Christ by baptism, voluntarily became and become poor so the gifts that have been freely given to us may be shared with those who have nothing. The great characteristic of the Church is that the needs of those who come to the Church are answered with the free gift of life in a community; and time and food according to the need of the one approaching the community. Through the ages men and women have taken a public vow of poverty so that they may feed the hungry, serve the sick, and educate those who have nothing. 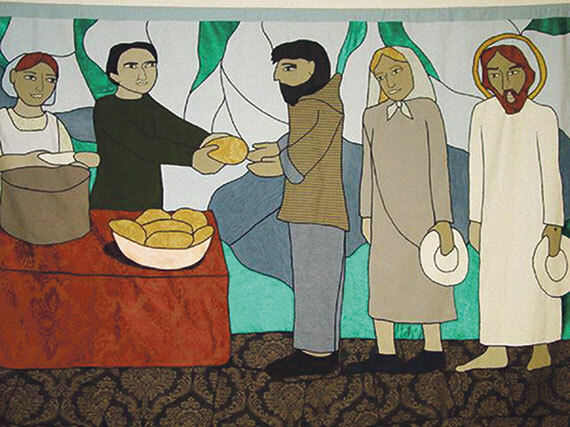 Part of the great gift was a free choice to become poor out of love so that our brothers and sisters might be served. This is a universal Christian call! Pope Francis has placed a call to each of us. Pope Francis’ words are totally inspirational. You can find them online on the Vatican website at tinyurl.com/World-Day-Of-Poor or at www.pndiocese.org.nz; take them, pray them and then as a parish, ‘act’. See the community around you, make a judgement of what to do, and act. Mark Richards is Pastoral Services Manager for the Diocese of Palmerston North.